I'm completely and utterly obsessed with lush. I've loved everything I've tried so far except for one soap because I simply didn't enjoy the scent. Unfourtuneatly, I haven't had the money to purchase some of their other products lately, so I've devised a small wishlist to show you what I would buy if I could right now. 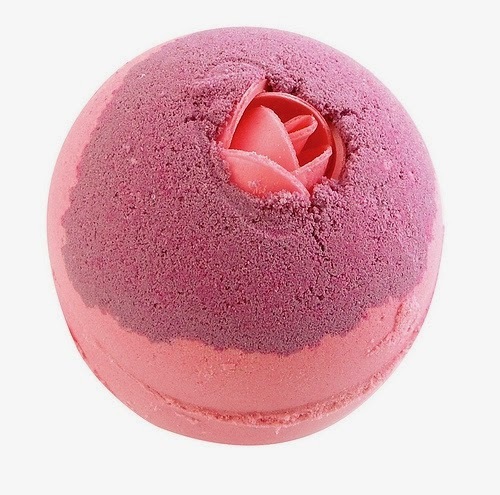 Please note that these pictures are not mine- all have been taken from the Lush Website, Australia. I love my coffee and my lipstick, but neither can beat a good bath bomb. Lush states on their website: "Jasmine- clary sage and ylang ylang to make you feel like a love goddess." Not 100% what half of that is- but it sounds divine! 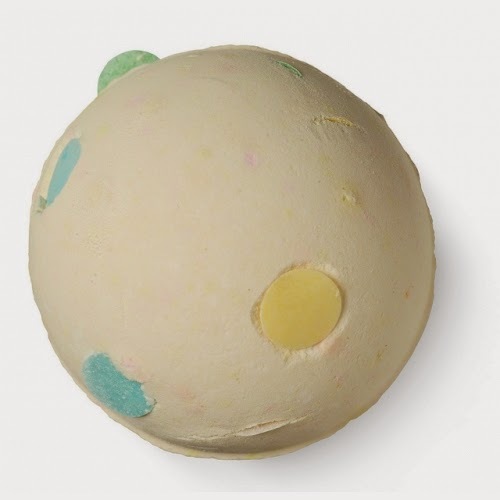 Claimed to have a fruity fragrance and described as 'bath tub fireworks', this little number sounds perfect for a fun, fizzy bath. 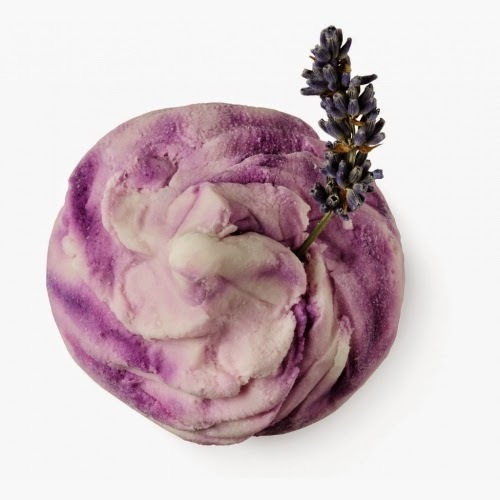 "The Lush French Kiss is a calming and reviving lavender, rosemary and thyme bath, with essential oils from sun-soaked Provence. It's even topped with a sprig of lavender flowers." 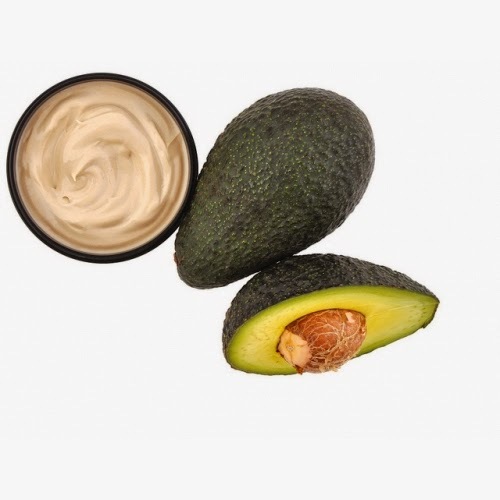 Moving on to face, Lush claims: "China clay and bentonite gel will pull the dirt from your pores, ground aduki beans and evening primrose seeds exfoliate surface skin cells, and peppermint oil will make you feel so fresh and minty that you'll forget you were ever grubby." Sounds exactly what my blackhead, acne prone, grubby skin needs. Recently my face has become super dry and flaky. Even the name of this moisturiser sounds like holy water. Definately something my poor skin needs. "A salty spritz that gives body, volume and hold. 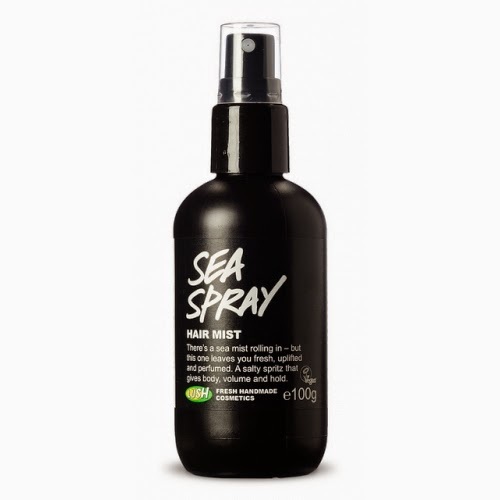 Sea Spray can be used in many ways to give hold and style, apply before blow-drying or apply to dry hair and work through for beach waves. Gives shine to the hair and has a beautiful perfume of orange flower absolute, grapefruit, neroli and rosewood oils." Okay- I'm sold. I've heard great things about this product and I really like beach waves so this is definately on my wishlist. Do you have any Lush favorites, or is there anything on your wishlist from Lush?